Leading Manufacturer of wedding centerpiece cage and centerpiece decor cage from Moradabad. We have a quality-approved range of center piece bird cages at market leading prices and in high-grade packaging. Once you avail this thing you can be assured that it will guarantee you unmatched service and beauty. 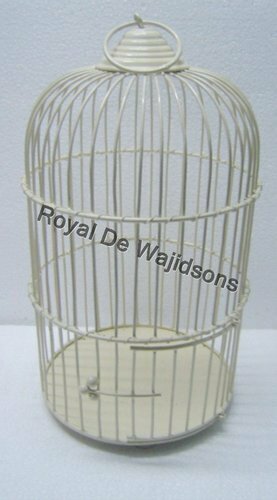 It is a perfect decorative cage build for your pretty little birds and can be kept in wedding for decorations. A touch of traditional elegance that is both decorative and practical. You have the option of customizing the products as per your needs and specifications. 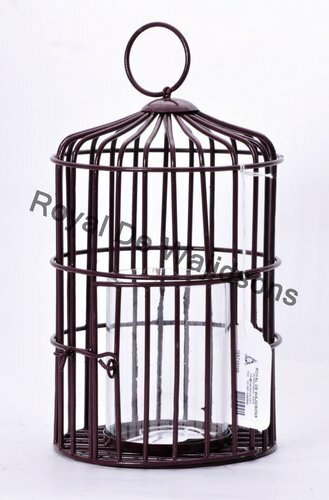 Features:- We use premium quality raw material, following international quality standards, our bird cages are ideal for gifting as well as decorative purposes. Our range of bird cages is reckoned in the market with attributes mainly higher quality, excellent polish and finish and aesthetic appeal. It comes in different measurements according to the needs.